Description: premier sherwood tuscan estate! ideally set at the end of the cul-de-sac on 1.38 acres is this magnificent executive estate. boasting the best unobstructed views in all of lake sherwood, this grand masterpiece is built with the finest quality finishes imaginable! interior features include a grand two story entry, billiards/game room, professional home theater, hand hewn hickory floors, walker zanger stone, custom built cabinetry and designer finishes throughout! 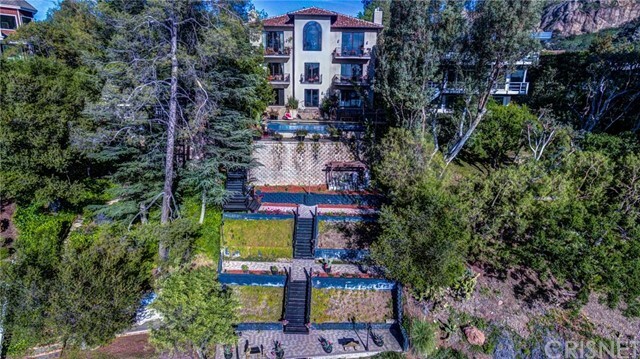 the grounds boast an infinity edge pool, manicured lawns, fountains and incomparable stone patios, columns and decks all with explosive views of the lake, fairway and surrounding mountains! other amenities include a state of the art smart home system, custom lighting, 4 car garage and much more! truly one of sherwood's special premier estates! Listed By: Jordan Cohen of Re/max Olson & Associates Inc.